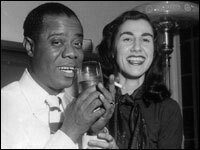 Lorraine Gordon with Louis Armstrong. 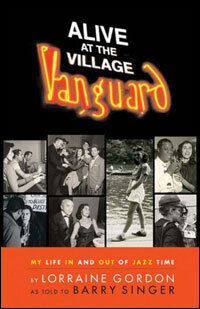 View more images from Alive at the Village Vanguard and hear additional interview clips. All Things Considered, February 27, 2007 · Lorraine Gordon is the keeper of a shrine to jazz — New York's historic Village Vanguard. Recently, Gordon published a set of memoirs, the recollections of a woman who was married to two famous men of jazz. The book recalls a life lived beyond society's expectations — a colorful swirl of music, politics and family. NPR.org, February 26, 2007 · It was Ike Quebec who first took us to see Thelonious Monk. Ike didn't say about Monk: "Record him." He just said, "Come on, I want you to hear someone." Ike didn't take us to a club either, he took us to Monk's West 65th Street apartment. And Alfred and I... well, we heard him.